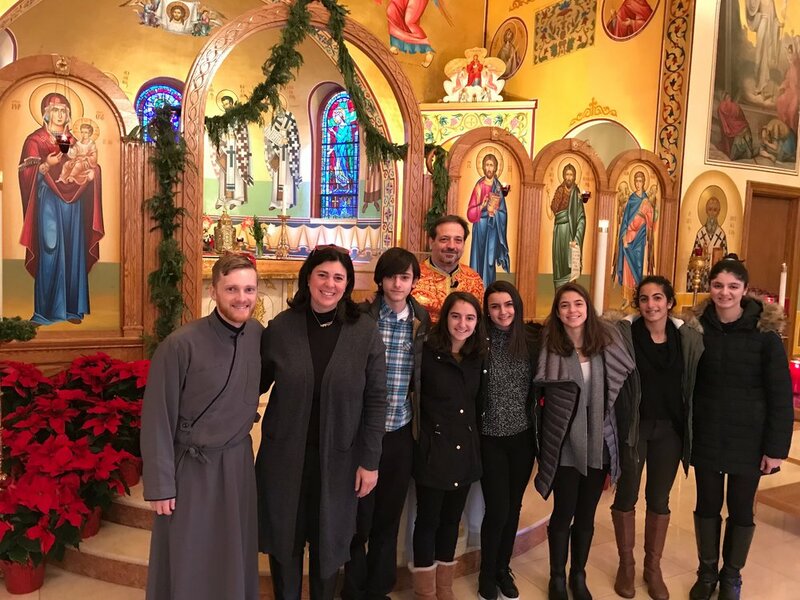 On Sunday December 9th, 2018, our community was honored to host the students in St. Stephen’s 10th Grade Sunday School Class as the visited our community. Their class, lead by their teacher Helen, is visiting different faith communities this year to learn about other churches and how they worship. Their 10th Grade Class attended Divine Liturgy, and stayed afterward to discuss the similarities and differences between our worship and churches. We are so thankful that they joined us, and are looking forward to visiting their church soon!